Performance: what really makes a difference? FF#15! How to go faster, stop quicker, and turn harder. Chips, exhaust, larger turbos, bigger/slotted/drilled rotors, high performance brake pads, manual boost controllers, performance shocks/struts/springs, airbox mods and more! Also discussion on HID and Xenon lights, aftermarket foglights and other exterior lighting. Missed last week? Nooo! Go back in time: Cams and Horsepower. Take the Fast Friday Poll. Performance mods, what really makes a difference? As far as performance mods go, mostly turbo Volvo models will respond well to the offerings that are out there as far as hard parts go. Things like intake kits, intercooler, exhaust, and turbo upgrades are generally going to increase performance across the board but which of these upgrades requires ECU tuning and which don’t? On this week’s Fast Friday we’ll cover what mods make tuning necessary and which ones don’t! 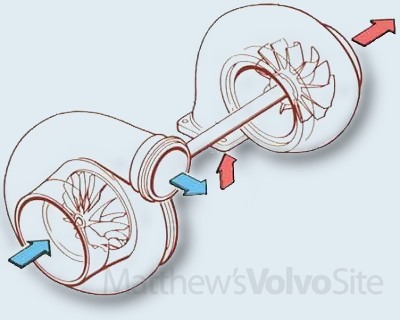 Volvo turbo intake systems are pretty good right from the factory and really only moderate gains come from the addition of short ram intakes or high flow filters. While improvements are certainly there they do tend to be more minor than major and in most cases ECU adaptions can handle the change in airflow they provide. Both intercooler and water/meth injection kits should be tuned for, the ECU adaptations alone will not advance the timing curve enough to maximize the gain of these additions and remapping of the timing advance profile is really necessary to take full advantage of these parts. While these parts could be installed as more of a safety net to keep detonation at bay, that’s somewhat akin to running race fuel to drive back and forth to the grocery store. Larger turbos most definitely require retuning and without proper ECU mapping you run the risk of outflowing the stock VE (fuel map) and potentially running the engine lean. ECU tuning is a must with larger than stock turbos. With the addition of a downpipe the determining factor is the catalytic converter. For most 400 cell per inch (CPI) cats retuning is only necessary if you are seeing the boost overshoot the boost target the ECU is programmed for. For catless exhausts or 200cpi catalytic convertors retuning will likely be necessary to control boost spikes and overshoot. For nearly all catback exhaust systems, ECU tuning will not be necessary. Retuning for these items depends on how far you are pushing your boost target. Beyond 12psi on factory tuning can be risky as the load characteristic is quite different than the way the factory boost control is programmed and therefore you can end up with lean spots in the map and lethargic timing which won’t maximize the horsepower these parts can provide. Above 12psi it is a good idea to start considering an ECU upgrade that will work with your MBC or EBC. Larger Throttle Bodies and intake manifolds, typically from N/A models, do not necessitate retuning for the most part. For certain builds with more aggressive goals (400bhp and up) there may be some room to adjust for these items but for the most part you’ll find it is not necessary and any gains that might be had with regard to ECU tuning will be minimal. 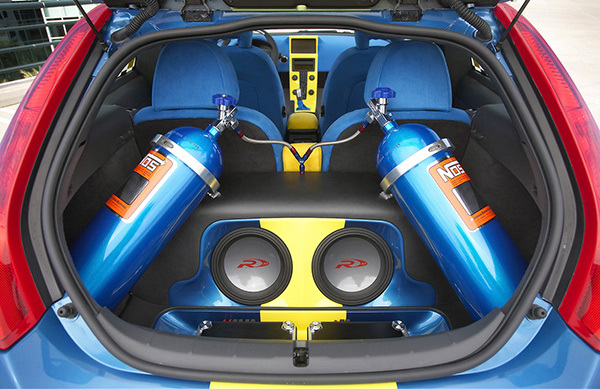 For nitrous systems the question revolves around whether the kit is a ‘wet’ kit or ‘dry’ kit. Wet nitrous kits spray both nitrous gas and fuel into the intake manifold in a proper mix, being additive to the standard air/fuel charge coming in via normal methods. A dry nitrous kit injects nitrous only and needs fuel to be added to it to prevent a lean condition from occurring. Typically folks will inject the nitrous ahead of the MAF sensor so it can measure the nitrous gas coming in and add the proper amount of fuel to it, however this is not always the most precise method of fueling control so map adjustments may be necessary. Monitor your wideband air fuel ratio gauge (AFR) and you’ll be able to see if your ARF targets are off. In the end the best way to know if your ECU needs retuning for the mods you’ve installed is to have a good set of basic gauges. Typically boost, AFR, and EGT are more than enough to give you proper feedback that your engine is in good operating condition. EGT (exhaust gas temperature) gauges have been gaining popularity in the aftermarket for years and have really come down in price. If you don’t have one in your vehicle and if you’re in the 300bhp neighborhood or power… consider adding one!